If you haven’t noticed yet, we are in the middle of the holiday season. This time of year is filled with Christmas parties, decorations, bright lights, and my favorite Christmas music. It is also filled with the holiday rush of buying presents, checking the list, wrapping gifts, travel, and cooking. Most of the time we all spend in a rush to get everything done to make it to the deadline of that special day, “Christmas.” One of my friends shared the following picture with me. I couldn’t help but wonder why I choose to be so busy during this time that I lose focus on Christ. I stared at it in laughter as well as disappointment. My laughter came from knowing that a child had taken this Nativity scene and made it their own. Arranging the people the way they wanted even adding a circus elephant to it. The theology of a child seems to be the best of all. 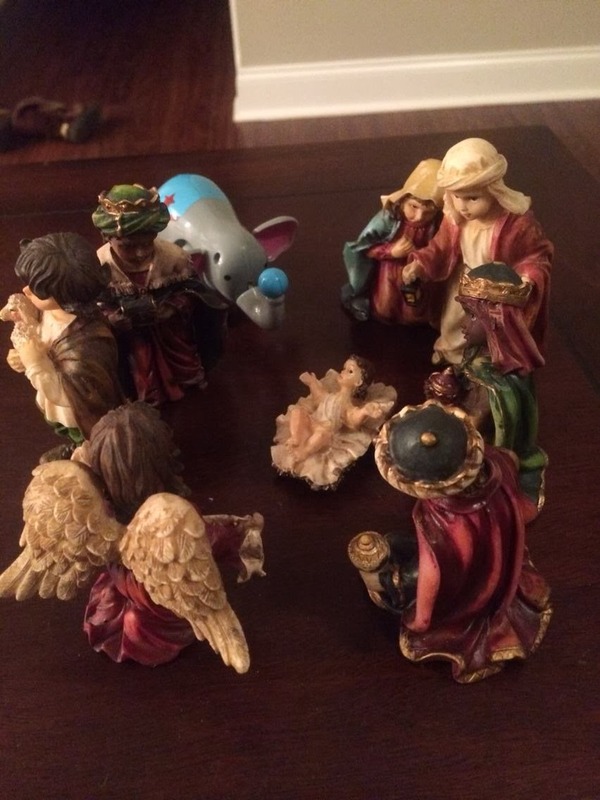 As I look at this young person’s arrangement of the Nativity, it is clear that they know who is supposed to be at the center of all creation’s affection. Jesus is the only one or thing that is worthy of our worship. He is everything and deserves all that we have including our time and worship. My disappointment comes from knowing that at a time of year where the worship of Jesus Christ is to be at its highest, most of us are too busy and miss it. Jesus Christ is the greatest gift we have ever received and has redeemed us to the Father. He is worthy of our attention, service, affection, and time. Not just during the holidays but everyday for the rest of our lives. Jesus is the center of all that we are and all that we are to become. God has said in Philippians “....that Jesus was given the name above every name and at the name of Jesus every knee shall bow and confess that Jesus is Lord…" We will all worship Him, even the circus elephants! Fix your eyes on HIM today and each day forward, to the glory of God.